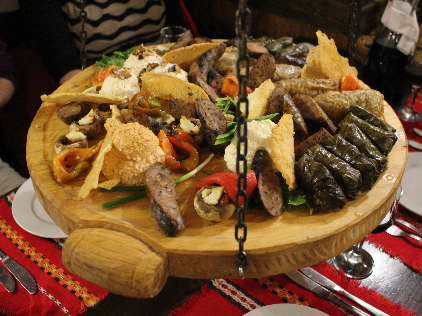 This Sofia food tour will teach you all about Bulgarian cuisine and the colorful history behind it. It consists of visiting different styles of restaurants to try the best of our traditional dishes and wines. Please note that this tour requires at least 4 people to activate, in case this tour does not reach the minimum capacity 24 hours before the tour, we will inform you and offer you a full refund.